Bart D. Ehrman is a historian and professor of religious studies at the University of North Carolina Chapel Hill. He is a reputed scholar and a prolific writer. His recent book "Did Jesus Exist? The Historical Argument for Jesus of Nazareth" has been eagerly awaited by the 'Jesus myth' community. This would be the first time a scholar respected by people on both sides of the aisle, has presented a case for a historical Jesus and provided a refutation of the theory that Jesus never existed as a human being. Mythicists have been ripping into his case and his misrepresentation of their case. This review mostly ignores the latter. Here is a lay person's take on Ehrman's case for a historical Jesus. Most critical scholars of the Bible believe that Jesus of Nazareth was a historical personality who walked this earth. Who he was and what he did, they have differing views. But almost all of them agree that he lived. A small minority however has a dissenting view - that Jesus did not exist as a human being. He only existed in the imagination of the early Christians. He was just a 'myth'. This minority group is referred to as the mythicists. For those who are not familiar with this debate, the question being answered is not if Jesus is God. Critical scholars of the Bible, like Dr. Ehrman often take the stand that he was not, nor did he do miracles or get resurrected. The question is whether the gospel fiction is entirely fiction or if it was in response to the life (and death) of a real flesh and blood human Jesus. The Jesus Puzzle by Earl Doherty. Why do mythicists even question the existence of Jesus to start with? Ehrman does a good job of answering this in his NPR interview. Mythicists' arguments are fairly plausible, Ehrman says. According to them, Jesus was never mentioned in any Roman sources and there is no archaeological evidence that Jesus ever existed. Even Christian sources are problematic – the Gospels come long after Jesus' death, written by people who never saw the man. "Most importantly," he explains, "these mythicists point out that there are Pagan gods who were said to die and rise again and so the idea is that Jesus was made up as a Jewish god who died and rose again." Ehrman's historical Jesus stands on the following two key arguments. (And I summarize). 1. In Galatians 1:18, Paul talks about meeting Cephas and "James the brother of the Lord". So, Paul knew James, the brother of Jesus. Paul also knew Peter, Jesus' his closest disciple. "Surely James, his own brother would have known if he [Jesus] lived". 2. Prior to Jesus' time, Jews did not believe in a suffering messiah. They came up with that idea only because Jesus got crucified and they explained it by coming up with the idea of a crucified messiah. 3. Paul talks about a Jesus who was born of a woman, seed of David, a Jew. Paul talks about a Jesus who had a last supper and was crucified. In 1 Thessalonians 2:14-16, he says the Jews killed him. 4. While the gospels may not be error free and may portray Jesus in ways that are non-historical, they do provide historical evidence. They provide clues that there were independent or partially independent traditions that go back to a historical Jesus. The gospel of Mark, the The Lost Sayings Gospel Q (common material between Mathew and Luke), material unique to the gospel of Mathew (or M), material unique to the gospel of Luke (or L), the gospel of John are all independent traditions. 5. Early church fathers like Papias, Ignatius of Antioch and Clement reference traditions that are also independent. 6. Jewish historian Josephus and Roman historian Tacitus refer to Jesus in their works. Ehrman agrees that these are too old to be counted as evidence of a historical Jesus. However, these are independent traditions adding to the evidence. 7. As a rebuttal to the claim that Christianity started as a cult of Christ, similar to the other dying and rising mystery cults, Ehrman says there isn’t any evidence of dying and rising mystery cults from around the time of the birth of Christianity. All of this evidence cumulatively lets us come to a conclusion that Jesus must have existed as a historical person. Let me go in the order of the above list. 1.1 James the brother of the Lord:That Paul knew a James who was a sibling of Jesus is not the only way to read Galatians 1:18-20. The phrase 'the brother of the Lord' need not necessarily reference a blood relationship. Mythicists like Doherty and Carrier argue this quite well. And they are not alone in this reading. 1.2 Interpreting the phrase 'the brother of the Lord' as referring to a blood relationship is a result of reading the gospel into the epistle. If all that we had were the epistles of Paul, would we have concluded that Paul was talking about Jesus' sibling? 1.3 The meeting with Cephas: Ehrman at one time questioned if Cephas in Paul's epistles and Peter from the gospels were one and the same. He has evidently changed his mind now. (And I am quite fine with that.) But is that conclusively established? If the gospels were works of fiction (as Doherty argues), can they not have used known personalities like James and Peter to give it color, just as they could have done with Pilate, Caiaphas, Herod, Quirinius? Ehrman has not proved his argument. More importantly, Paul does not say Cephas walked around Galilee with Jesus. Wouldn't assuming that he was a disciple (Paul never says 'disciple') be circular reasoning? What we can reasonably conclude is that Paul claims in his epistles, to have spoken with James and Cephas and these guys are probably the Peter and James who show up in the later gospels. Stated that way, it is far from being an argument clincher! 2. Crucified Messiah: Ehrman's claim is that the Jews would not have come up with the idea of a crucified Messiah had Jesus not got himself crucified. They were after all expecting a conquering Messiah! To me, this is not self-evident. If a crucified man could have made them come up with that idea and interpret the Old Testament that way, well, they did come up with that idea. To invent a fictitious 'conquering Messiah' who lived in the recent past would have fooled no one. Carrier does a great job in explaining that if they invented a messiah, this is exactly what they would have done. 3. Born of a woman: Doherty does a good job of explaining 'Jesus born of a woman' 'born under the law' etc. All of these are explained quite well with they mythical Jesus hypothesis. I do not see how Ehrman has refuted this. I would say, Paul's words can be interpreted both ways. 4. Independent traditions: I find that Ehrman sees independent traditions all over the map. He at times qualifies these as partially independent. But most of the time, he talks about just 'independent traditions'. I do not think he has established how all of these are independent traditions that go back to a historical Jesus. If the gospel evangelists could invent the Christmas legends, the post-resurrection appearances, the miracles, if they could invent legends, we can not assume that the traditions go back to a historical Jesus. Ehrman assumes that at least some of the stories are not made out of whole cloth. His book did not clarify for me, how he arrived at this conclusion. I did not find Ehrman's arguments that the handful of Aramaic words in the gospels can let us conclude that there were Aramaic oral/written traditions. The fact that the stories were set in a place where Aramaic was spoken can explain this. To be clear, I am not making the claim that Aramaic sources are impossible. I am saying that Ehrman has not established this (or even come close). 5. Taking the church fathers' writings to be independent is something that Ehrman has not demonstrated. 5.1 Papias: 4th century church historian Eusebius' references to Papias is what has survived of Papias' works. Papias supposedly knew elders who knew the apostles who knew Jesus. Papias' credibility is questioned by Eusebius himself. Yet, for Ehrman 'it is a testimony that explicitly and credibly traces its own lineage directly back to the disciples of Jesus themselves'. Credibly? Really?? 5.2 By the time of Ignatius of Antioch, we see evidence of a belief in a historical Jesus. His long epistles are considered forgeries. We are not sure if even the short epistles attributed to him are authentic. Is this another 'tradition' from the beginning of the second century we can count on? Claims of lineage to the apostles is common in the 2nd century. Taking this at face value is not something a good historian would do. Counting them as traditions that date back to 30s AD and a historical Jesus has to be demonstrated and not assumed. 6. Josephus and Tacitus are late and could be basing what they wrote on Christians who, even the Mythicists agree were around in the first century. So, this is moot, to the question of a historical Jesus. Ehrman actually agrees with this. (He also takes issue with Price for saying the same thing, which is funny.) The authenticity of the passages in question are also disputed and not just by Mythicists. 7. About dying and rising gods and mystery cults, Carrier and Doherty present and argue the case for its influence on early Christianity. Ehrman disagrees. Neil Godfrey however points out that Ehrman may have overstated his case in this book. He does not seem to disagree so much in his earlier writings. See here, here and here. 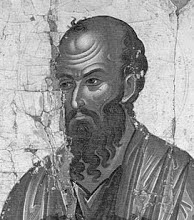 Ehrman's answer to the silence in the first century epistles is to say that Paul does occasionally refer to a historical Jesus. And so do the non-Pauline epistles. I did not find this argument very convincing. Without reading in the gospels into Paul, it is difficult to show otherwise. But I agree that silence is not conclusive evidence of absence. Doherty's positive evidence of a belief in sub-lunar crucifixion is largely ignored as Ehrman argues that Paul believed in a historical Jesus. Ehrman seems to be able to date Paul's conversion to 32-33 AD (pg 261). He dates the origin of traditions about Jesus to 31 or 32 AD (pg 251). The traditions from 'the Aramaic-speaking communities of Palestine' 'must have' originated 'probably in the 30s CE' (pg 92-93). In page 97, these traditions 'almost certainly' originated in the 30s CE. How does Ehrman date these so precisely? The reference to King Aretas in 2 Corinthians? Without assuming a Jesus who got crucified by Pilate, how does he date these? Ehrman does not tell us! Assuming a crucification by Pilate would be circular reasoning, wouldn't it? Acts are dated by Ehrman to 80s AD and the speeches to 'much older' traditions, 'older in fact than any surviving Christian writings'. Does Ehrman consider the dating of Acts to the early 2nd century by the Jesus Seminar a fringe idea? From this, he sees a smooth transition of ideas about who Jesus was. As the legends grew, a Jesus who was exalted at resurrection (Pauline epistles) transitioned to a becoming the son of God at baptism in Mark and then to a Jesus who became the son of God at conception (Mathew and Luke) and finally to the preexistent word/logos that became flesh in the gospel of John. Ehrman however fails to really account for the high Christology in the Pauline epistles which is a bump in the smooth transition and addition of legend. Without explaining that, Ehrman's chronology simply does not work! Can the Historical Jesus theory explain and make sense of the data and evidence we have from the first and second centuries. Can the Mythical Jesus theory do the same? Which one is the better argument? Does the evidence on one side rule the other out? In my personal opinion, Ehrman has not demolished the mythicist's case. He has in fact, inadvertently demonstrated that the case for a Historical Jesus is not rock solid. More importantly, he has taken this discussion mainstream. And that I think is the most significant contribution of this book. Carrier's second volume (expected in 2013) will play the devil's advocate. Rebuttals from Carrier, Doherty, Price and Acharya are also sure to follow. Disclaimer: I am an atheist. I subscribe to Doherty's thesis that Christianity started with a mythical Jesus who was later historicised. I have read some of Ehrman's and Price's writings. I am currently reading Carrier's 'Proving History'. I am only vaguely familiar with Acharya's works and have not read any of her books so far. Richard Carrier's review: Ehrman on Jesus: A Failure of Facts and Logic. Earl Doherty: A Book length review. George A. Wells: Ehrman on the Historicity of Jesus and on Early Christian Thinking. Ken Humphreys Ehrman's "Did Jesus Exist – Apologetics Lite". Thomas S. Verenna: Did Jesus Exist? The Trouble with Certainty in Historical Jesus Scholarship. A. P. Riori: On Papias: the mythologist who established historicity. Bart Ehrman's response to Carrier's review: bronze Priapus, a brief response and a "fuller reply". Richard Carrier's response to Ehrman's response part 1 and part 2. Robert Price: Freethought Is Free but not Cheap. Acharya S/D.M. Murdock: the Priapus statue, Josephus, the sun-son pun, the biblical canon. James McGrath: Review of Bart Ehrman, Did Jesus Exist? Part One, Two. René Salm: A preliminary response to Bart Ehrman’s Did Jesus Exist? René Salm's collection of responses to Bart Ehrman’s Did Jesus Exist?. Larry Hurtado: "Did Jesus Exist" Controversy and Its Precedents. Bart Ehrman: Did Jesus Exist? Huffington Post article. Richard Carrier: review and follow-up of Ehrman's Huffington Post article. James McGrath: Responding to Richard Carrier’s Response to Bart Ehrman. NPR.org: 'Did Jesus Exist?' A Historian Makes His Case. Arguments and criticism well laid out. But do you think these zillions who existed and the billions who exist believe/believed in something pointless? Are they all so stupid? > "Are they all so stupid?" There are a billion or two in India and China, living today who do not believe Jesus is God. Are they all stupid? "I am only vaguely familiar with Acharya's works and have not read any of her books so far." I would very strongly recommend reading her books, 'Who Was Jesus?, 'Christ in Egypt' and her new book, 'Did Moses Exist? She's also working on a 2nd edition to her first book, Christ Conspiracy that may come out in 2014 or 2015.